The Sleat peninsula is formed of some of the oldest rock in Europe. Outcrops of Lewisian gneiss, Torridonian sandstone and Moine sediments are to be found with the oldest over 2500 million years old. And throughout that time they have been subjected to the constant erosion forces of water. A gentle stroll along the foreshore with a low sun making the day feel very spring like was accompanied by the background symphony of the waters of the Sound of Sleat beating up against the rock of the peninsula. 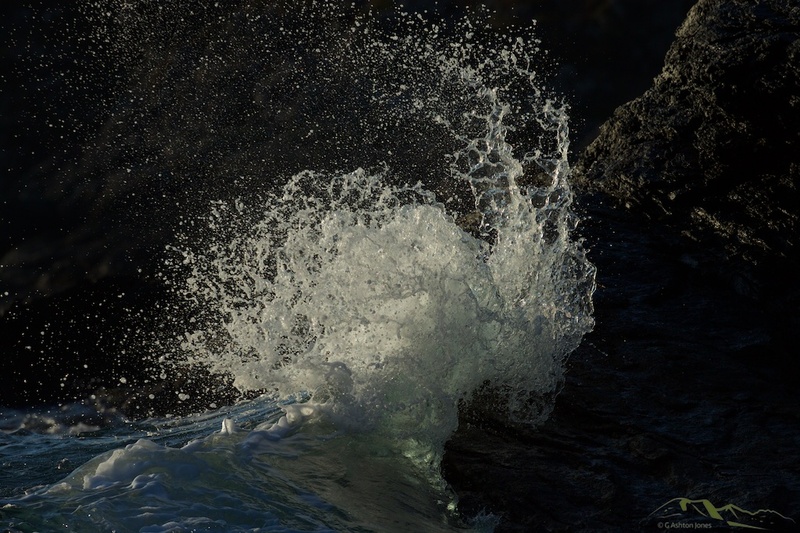 Where they met the plume of spray from breaking waves was lit by sunshine for that split second before the water retreated ready for another wave to flow in.